Ever wonder how blogs make money? There are a lot of resources and articles on the web claiming to tell you how to make money blogging, but most of them all say the same thing. More importantly, the majority of articles and posts online about how blogs make profit and money are INACCURATE or share misleading information and facts. Most articles and blog posts available on the web tell readers to display ads on their websites, join affiliate programs, or make their own products to sell. Yes, these are all ways to make money blogging, but most articles forget the crucial steps you need to take before monetizing a blog. A blogger can have advertisements displayed on their website. They can have the most amazing content and blog posts with product recommendations using affiliate links. They could also have great information products available for purchase on their site. They may have countless monetizing strategies embedded in their blog and content. But, guess what? They won’t make any money, not a dime if they don’t have any readers or the correct target audience. This is the key information other “How to Make Money Blogging” blogs and articles on the web neglect to mention to readers in their posts. A person makes a website – A person, meaning the blogger, creates a website (a blog) that has valuable content, which is either entertaining or solves a problem(s). A reader discovers that blog – A visitor stumbles upon the blog by clicking a link on another website – either from social media, an email from a co-worker or friend, or from search engine results. The blogs readers and followers are redirected to a profit funnel – A blog that is correctly set up for monetization will have multiple profit funnels embedded and placed in their blog or website. Whether it’s directing them to a call-of-action, such as an affiliate link or click advertisement, or to sign up for an email list that promotes the sale of a product or service. 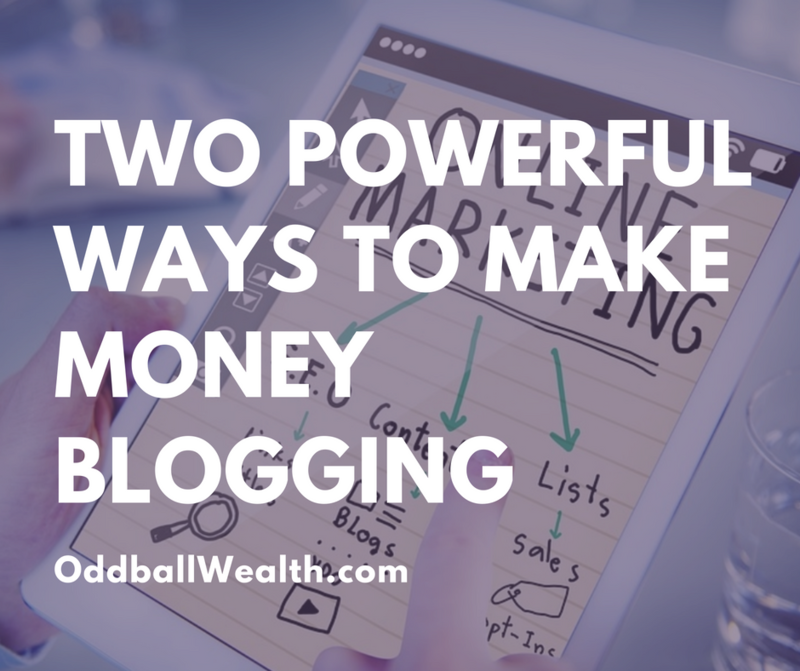 To make money with a blog, use it as a tool to make noise and get attention. Then, redirect that attention to a product or service to generate sales, or sell that attention to an advertiser for a set fee. The key element for turning a blog into a profit stream is ATTENTION. Attention means that readers are engaged and focused in the content featured on a blog or website. They trust the content, the author (blogger), and that particular blog. This creates influence and authority. It also creates the opportunity and ability to earn money blogging. Avoid getting caught up in all the other “to do” tasks and elements of blogging until you’ve mastered and succeeded in doing the two tasks mentioned above, which are writing good quality content and then marketing your good quality content. Don’t over complicate things. It can be easy to get side tracked into thinking you need to do more with your blog, but you don’t and you shouldn’t. The first powerful technique to attract attention and traffic to your blog or website is writing high quality content. Always emphasis quality or quantity, this is very important. Writing and publishing great content isn’t enough by itself, you also need to market your content. This is the second powerful technique and ingredient to attracting attention and traffic to a website or blog. Marketing your content will allow other people and readers to discover and find your great content!